America’s share of the international travel market has been declining since 2015. The Visit U.S. Coalition, formed by leaders from multiple industries, aims to reverse that trend. America’s share of the global travel market has shrunk over the last two years, from 13.6 percent in 2015 to 11.9 percent last year. This lucrative market is expanding, yet our country continues to fall behind. While global long-haul travel volume rose by 7.9 percent overall, growing numbers of international travelers are choosing destinations in Europe or Asia over trips to the U.S. Our top competitors, such as France, Germany and the United Kingdom, all saw their global travel market shares go up. In fact, Spain recently announced that it has surpassed the U.S. to become the world’s second-most-visited country. I’m not exaggerating when I say that millions of American jobs are at risk if this trend continues, and that the consequences for our country’s economy could be dire—even amidst the relatively strong fundamentals and low unemployment rate we are currently enjoying. A 1.7 percent decline, from 13.6 percent to 11.9 percent, may not seem like much, but let me put it this way: If we had merely maintained our 2015 percentage share of the global market, our economy would have benefitted from 7.4 million additional overseas visitors, $32.2 billion in additional spending and 100,000 additional American jobs. International travel is America’s top service export, and No. 2 export overall. In 2016, international travel pumped $245 billion into our economy, helping to fuel the 15.3 million American jobs that depend on travel. These aren’t just low-level jobs at major hotel chains or attractions, either—84 percent of travel-related businesses are small businesses, and workers who begin their career in the travel industry end up earning a higher average salary later on. For many, it’s a reflex to lay America’s international travel market share decline squarely at the feet of President Trump. But it’s notable that the trend started well before his campaign caught serious momentum. It’d be a mistake to ascribe blame to any single factor: The strong U.S. dollar, and more and cheaper flight options abroad were unquestionably among the reasons people had less incentive to come stateside. I have said many times that the president can and should be projecting a more welcoming message to potential overseas visitors while pursuing his security agenda. But this is a complex problem in need of a comprehensive solution. With all this in mind, what can be done? Enter the Visit U.S. Coalition. The new group is the product of a joint effort by U.S. business leaders across multiple industries—not just travel—who aim to regrow our country’s share of the global travel market. My organization, the U.S. Travel Association, has long led the charge on sending a message of welcome to the world. The Visit Coalition scales up those efforts, drawing on all we learned from America’s “lost decade” of tourism post-9/11 to send that message even more loudly and clearly. Our founding members include the American Gaming Association, the American Hotel & Lodging Association, the National Restaurant Association, the National Retail Federation and the U.S. Chamber of Commerce. Our goal: to partner constructively with the Trump administration on crafting policies that facilitate secure, efficient entry for legitimate global visitors to the U.S., and reiterate to the world that America is open for business (all of which will complement the highly effective global marketing efforts of Brand USA). We believe that America can be both the most secure and the most welcoming country in the world—in fact, it must be, for the sake of millions of American workers. Make attracting international travelers to the U.S. a national priority, particularly by supporting the promotion efforts of Brand USA, and designating a senior administration official to focus on international travel and tourism. Expand intelligence-sharing partnerships and streamline a secure travel entry process—this includes helping more countries meet the criteria for Visa Waiver Program (VWP) membership (and renaming the VWP, so that it accurately reflects the program’s security benefits). Make America’s visa system more secure and accessible to international travelers through methods such as implementing better data-gathering standards, developing criteria for 10-year visa eligibility with qualified countries and increasing the number of visa processing facilities where needed. Increase security and efficiency in travel screening processes at U.S. ports of entry—this can be done by promoting participation in trusted traveler programs like Global Entry, NEXUS, SENTRI and Preclearance, ensuring points of entry are properly staffed and adopting innovative screening technology. The president knows the advantages of a strong, welcoming brand—and the advantages to inviting the world to come see exactly what makes America great. We look forward to partnering with President Trump and his administration on bringing international visitors back to our country, and ensuring we stay on top of the travel market worldwide. 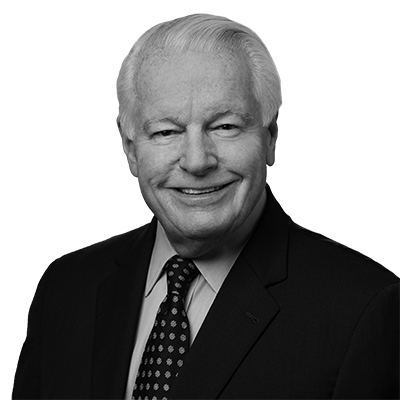 Roger Dow is president and CEO of the U.S. Travel Association, the Washington, D.C.-based organization representing all segments of travel in America.